Minibar and Grill in Glasgow is a restaurant which was started by myself, and two friends from university with a passion for food and the hospitality industry. After so many bad experiences we decided that it was time for us to open up an alternative for Glaswegians which would place a huge emphasis on great service and quality of food. This was an area of the market which we felt was being disregarded by the mainstream restaurants in the city centre and an area we believed we would be able to easily target and become the preferred choice for the people of Glasgow who looked for the same criteria as we did. A huge source of inspiration for me to finally make the plunge into opening my own restaurant was my family background. For generations, the well-known Hurthen café in Greenock has been ran by my family. My great grandfather moved over to Scotland and opened the café and the rest as they say is history. From the start of my very young teenage years, I was working in the café on weekends to try and earn some extra pocket money and getting used to how the business was run. This has undoubtedly provided invaluable experience for me moving forward with my own business venture. Being exposed to the troubles of a hospitality business and the problems which are encountered on a regular basis can help me to stay calm and collected when I am in one of these situations myself. Without Kickstarter there is no doubt that my dream to open my own restaurant would never have happened. A huge crowdfunding campaign provided me with the necessary support to begin my business venture. As we had predicted, huge numbers of people were fed up about the inability of premium restaurants to provide top quality service as well as top quality meals. As a result, the amount of funding we were able to crowdfund from supporters has allowed us to open an even larger and more luxurious restaurant than we had initially planned for. Rather than worrying about the amount of funding we received, we have taken it as a huge bonus to invest even more of our own money into the business as there is clearly a market there to be enjoyed. Since we opened, we have utilised Instagram influencers a great deal. These have proved invaluable at getting our restaurant on the map and showing to people that we are a top-level restaurant and one that is well worth a visit. We want our restaurant to be showcased by people who people aspire to me and it helps to give our restaurant a luxurious image and one which consumer want to boast to their followers about attending. 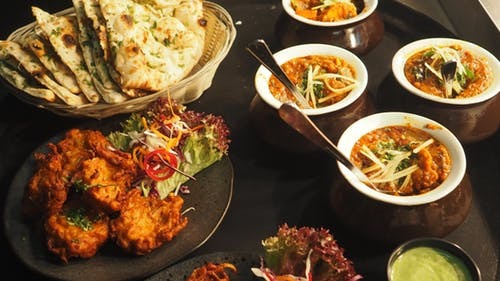 Following in the footsteps of their favourite influencers can prove to be a huge pull for consumers to go to restaurants or clubs and that is a new phenomenon that we felt we gad to take advantage of.